BNI Presents: The 41st Jazz Goes to Campus (2018)!! 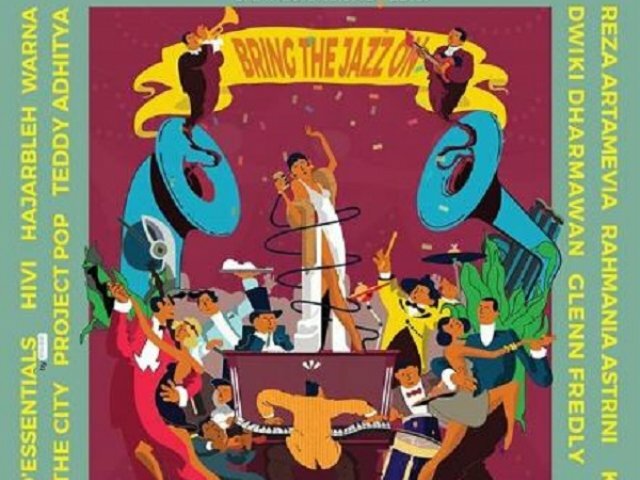 This year The 41st Jazz Goes to Campus is using the theme “Bring the Jazz On!”, aiming to make it jazzier than ever by showcasing different sub-genres of jazz to show that jazz is still a genre people celebrate and cherish the most. Speaking of visitors, they are welcoming no less than 20.000 jazz aficionados to come and join the party. Line up ; Warna, Boyzlife (Brian McFadden of Westlife & Keith Duffy of Boyzone), Andien, Teddy Adhitya, Hivi!, Glenn Fredly, Samifati (France), Reza Artamevia, Kunto Aji, Maliq & D’Essentials, Dwiki Dharmawan, Saxx In The City, Dock in Absolute (Luxembourg/Belgium), Vira Talisa, Rahmania Astrini, Project Pop, the mad gang who plays big band like none other, the Hajarbleh Big Band and many more.